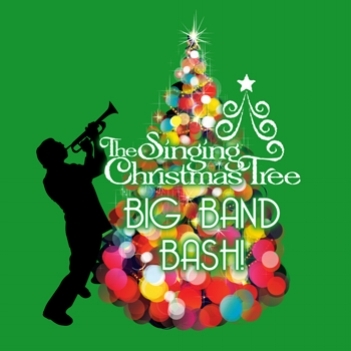 THE 64TH ANNUAL SINGING CHRISTMAS TREE DEC. 8-9 UPTOWN IS BILLED AS A BIG BAND BASH. THE 64TH ANNUAL SINGING CHRISTMAS TREE: This Charlotte holiday tradition features The MainStage Choir performing favorite Christmas songs in a 32-foot tall Christmas tree. This year’s production has a Jazz twist with accompaniment by the all-star Big Band, plus the Miller Street Dance Academy. 3 and 7:30 p.m. Dec. 8, 4 p.m. Dec. 9. Knight Theater at Levine Center for the Arts, 430 S. Tryon St. $26-$45. carolinavoices.org. MIGNONNE GAVIGAN JEWELRY: Meet the designer and view her newest pieces during her personal appearance. 10 a.m. to 4 p.m. Dec. 14. Neiman Marcus at SouthPark mall. 704-442-7900, ext. 2141. neimanmarcus.com. THE NATIONAL BALLET THEATRE OF ODESSA PERFORMS THE CLASSIC BALLET THE SLEEPING BEAUTYFOR ONE NIGHT ONLY ON DEC. 19 AT KNIGHT THEATER. THE SLEEPING BEAUTY: The National Ballet Theatre of Odessa and its 55 dancers perform a full-scale production of Tchaikovsky’s classic for one night only. 7:30 p.m. Dec 19. Knight Theater at Levine Center for the Arts, 430 S. Tryon St. $40-$60. blumenthalarts.org. ANNE NEILSON FINE ART: 532 Governor Morrison Street. Gallery hours are 10 a.m.-5 p.m. Monday-Friday; 11 a.m.-3 p.m. Saturday. 704-496-9181; anneneilsonfineart. ELDER GALLERY OF CONTEMPORARY ART: Though Jan. 5, 2019: Vicarious, a multi-disciplinary exhibition featuring paintings by San Francisco-based Dan Bayless; drawings and paintings by Charlotte-based artist and Army veteran Will Bosbyshell; glass work by Pomona, California-based artist and Vietnam veteran Michael Aschenbrenner,; prints, objects and sculpture by Drew Cameron; installation work by Charlotte-based artist and Navy veteran Suje Garcia; a documentary produced by Susie Films; a virtual reality project produced by Army veteran Paula Kranz Broadwell; and artworks from graduates of the Chicago-based CreatiVets Program. Part of exhibit sales go to Veterans Bridge Home. 1520 S. Tryon St. Gallery hours are 11 a.m.-6 p.m. Tuesday-Friday; 11 a.m.-5 p.m. Saturday.704-370-6337; www.eldergalleryclt.com. NEW GALLERY OF MODERN ART: Through Dec. 1: Street Space, Embracing the History of Street Art & Culture featuring works by Daniel Arkham, Jose Aurelio Baez, Christopher Chan, Jesse Choring, Seth Clark, Steven Firenze, Freehand Profit, Blaine Hurdle, Hnin Nie, Odriewgo, Christophe Roberts, David Rosenstraus, Grace Stott, Swoon, Dammit Wesley, Bryan Wilson and Stephen Wilson. 435 S. Tryon St., Suite 110. Gallery hours are 10 a.m.-6 p.m. Monday-Friday; 11 a.m.-5 p.m. Saturday. 704-373-1464; www.newgalleryofmodernart.com. SOCO GALLERY: 421 Providence Road. Gallery hours are 10 a.m.-5:30 p.m. Tuesday-Saturday; noon-5 p.m. Sunday. 980-498-2811; www.soco-gallery.com. CROWN JEWELS BALL: Cugat Club is the theme of this year’s gala fundraiser for Charlotte Concerts. Gala chair is Clair Campbell. Feb. 9, 2019 at Quail Hollow Club. Tickets are $275. www.charlotteconcerts.org.